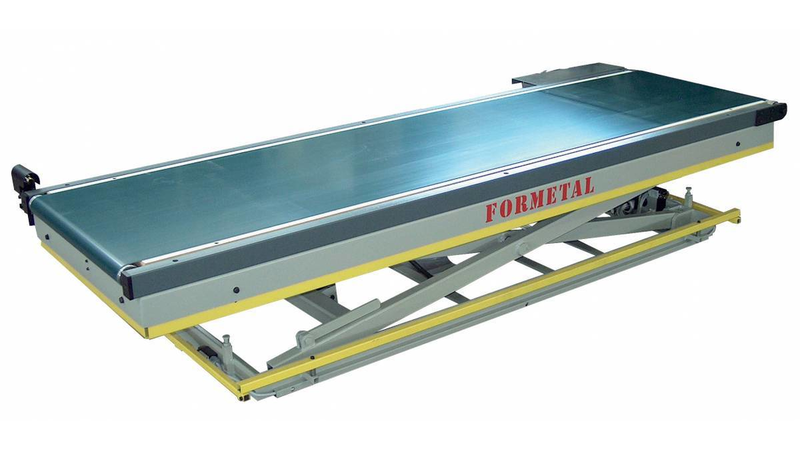 The machine features an electro-welded metal structure with mobile surface fitted with a motor-driven belt conveyor. The vertical movement of the machine is controlled by a simple pantograph mechanical device equipped with electro-hydraulic movement, complete with control unit. The machine also has an accident prevention safety device along the perimeter on the mobile surface closure.